The opening weekend of the Bundesliga season was blighted by a barrage of complaints about the video assistant referees (VAR) with Bayern Munich boss Karl-Heinz Rummenigge calling for a task force to improve the system. "It must be remedied as soon as possible, a task force should be formed to finally take care of things," said Bayern's chairman. "Basically, I am a big proponent of the VAR. "It makes the game fairer, but I have the impression that the DFB (German Football Association) should implement professional structures." The VAR enjoyed a largely successful debut at the World Cup in Russia, but continues to be the source of much debate and disgruntlement in Germany. The system has just started its second Bundesliga season "and yet does not work as desired," Rummenigge fumed. "It leads to repeated discussions and criticism - the referees are being let down here." His outburst comes after the VAR stole the limelight for all the wrong reasons. The VAR was not called into play on Friday after defending champions Bayern were awarded a late penalty, although replays showed Franck Ribery had jumped over a tackle and was not actually brought down in the area. "Where was the video assistant?" 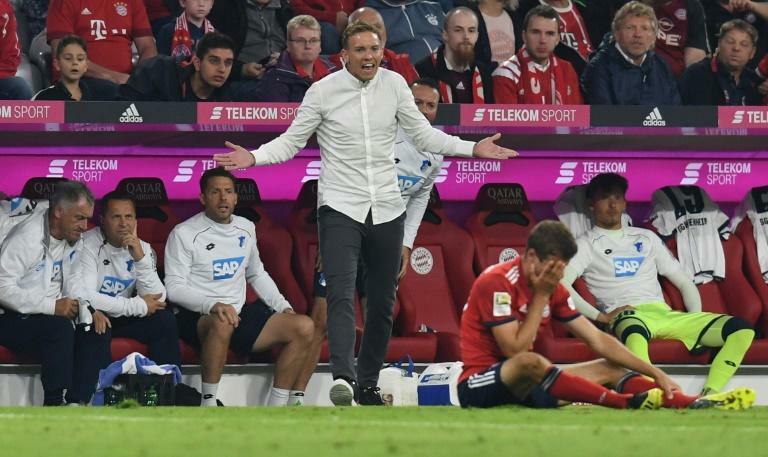 fumed Hoffenheim coach Julian Nagelsmann, but even Bayern's new head coach Niko Kovac admitted he would not have given the penalty. Robert Lewandowski eventually converted the subsequent spot-kick in the 3-1 win over Hoffenheim -- but only after a delay caused by the VAR insisting the penalty was retaken. "There is no need for 14 screens in Cologne (where VAR decisions in the Bundesliga are made) - they could stay at home and we'd just have extra screens in the stadium," suggested Nagelsmann. "It would cost less and save all this back and forth." More VAR-generated chaos followed on Saturday as Schalke, last season's runners-up, crashed 2-1 at Wolfsburg amid unruly second-half scenes. The video assistant upgraded a yellow card to a red for Schalke defender Matija Nastasic for a bad tackle. 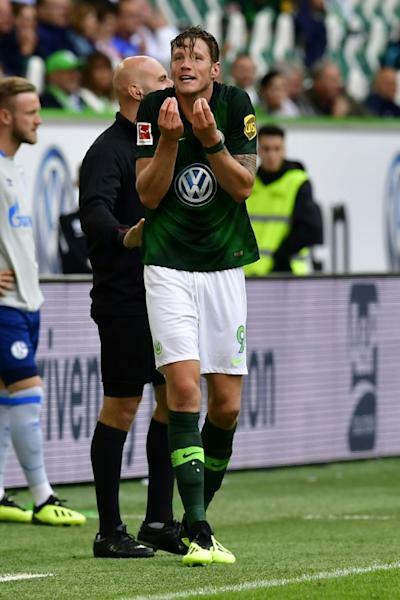 Then three minutes later, he downgraded a red card against Wolfsburg striker Wout Weghorst, who had shoved over a Schalke player. The two reversals sparked heated exchanges on the sidelines. Schalke coach Domenico Tedesco claimed he had been "insulted" by match referee Patrick Ittrich, who refuted the allegation, but admitted it had been a difficult afternoon, adding: "You cannot always do everything right." More irritation with VAR decisions came in the capital from Nuremberg, who lost 1-0 at Hertha Berlin. In the build-up to Vedad Ibisevic's match-winning goal on 27 minutes for Hertha, the Berlin captain tripped Nuremberg defender Georg Margreitter. Match referee Tobias Welz checked the VAR replay, but did not disallow the goal -- which left Nuremberg coach Michael Koellner incredulous. "It's a tactical problem when the defender goes to ground, which has an impact on the whole defensive network," he complained. "He (the ref) can look at that ten times and still rates it differently, because he thinks it has no tactical influence, but for me it's a tactical move." However, the future boss of the VAR in Germany admitted having sympathy for Ittrich's plight in Wolfsburg and said the system remains a work in progress. "Many things just did not go well this weekend. There is a need to go into more detail," ex-ref Jochen Drees, who becomes boss of the VAR system on October 1, told Sky Sports News on Sunday. "I felt really sorry for Patrick Ittrich, because he had to correct decisions that I did not consider wrong. "They are 'video assistants', not 'video referees' -- the referee is the one in charge on the pitch. "It's not about how to interpret decisions, but about correcting clear and obviously wrong decisions. "We were on the right track in the second half of last season, when video assistants noticeably held back and developed a better understanding of their role. "It is a process and we must work continuously with the video assistants."